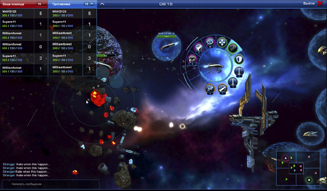 ASTRO LORDS: OORT CLOUD is a free to play Massively Multiplayer Online Game designed for three platforms: Web, IOS and Android with a single server built on Cloud technology our own design, with a client on Unity 3D. Each player begins the game as an Astro Lord on their asteroid base. This base enables players to extract minerals and build factories, which will be used to produce ammunition and spare parts for their space ships. This base is the player’s primary stronghold: other Lords can raid it, but they won‘t be able to capture it. Players can also capture up to five additional asteroids, which will be used to extract minerals. But beware: the player will have to remain on the alert to keep other Lords from recapturing the asteroids. One of the game’s distinguishing features is the unique Radar, which is located on the space station. Not only will it enable you to monitor the location of your enemies and allies, but you’ll also be able to carry out pirate raids! And lastly, exploration of the vacant sectors of the galaxy within the Radar’s radius, which could bring resources and other useful bonuses. Mass-combat enthusiasts will love the Arena: here, players can battle it out against alien races (AI) or other Astro Lord players. 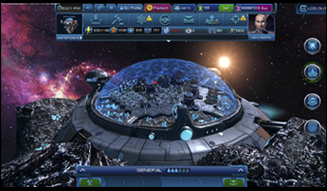 Those battles take place in real-time, which allows players to actively take part in the game instead of just having to wait for the completion of their building projects. Players can take part in these battles whenever they like – or they can entrust a battle to their general, who will fight according to his skill level and equipment. During raids, and other attack missions, you can send out up to 6 ships, but you can only control one of them in battle. You can also have up to 5 allies take part in your defense and attacks. A maximum of 12 ships can be simultaneously present in battle at any given point. 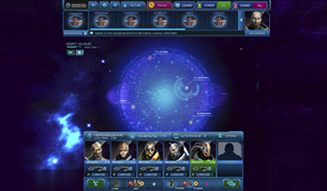 Every Astro Lord commands up to 6 hero-generals: a Commander-in-Chief and 5 mercenary generals. Throughout the game, heroes progress, level up and acquire skills. They also possess their own ships. These ships can be equipped with ammo, officers, artifacts and Runes. 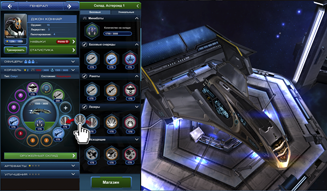 Players will have access to seven different types of ships of varying size and capacity, which they will be able to change depending on a particular general’s skills. Each base is protected by an orbiting space station, which can be equipped with Runes and artifacts. The station also has guns that can be loaded with different types of ammunition.